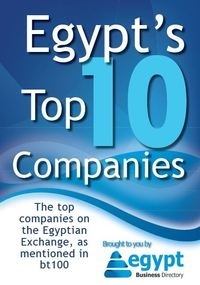 What to consider when you make business with Egyptian companies and how to approach the system. It is important to research any company before approaching it in order to determine whether it is state-owned or private and secular or Islamic in orientation. When doing business with an Islamic oriented organisation, do not overlook the potential impact of religious issues on any decision- making process. Business is driven by relationships and therefore a great deal of resource and time should be allocated to the development of key contacts. Who you are and who you know are important issues in Egypt; therefore it can be difficult to break into business without access to the right initial contacts. In order to help develop the all-important initial contacts it is often necessary to appoint a go-between who can arrange meetings and act as a bridge into the culture. It may be necessary to appoint a number of different go-betweens who know the locality (i.e. one for Cairo and one for Alexandria). Egyptian companies tend to be hierarchical and power usually rests in the hands of a small number of key senior managers who make all the major decisions. Managers tend to give direct instructions and subordinates are not expected to show initiative. If something is not specifically requested, it may not get done. Meetings can involve sitting in rooms with unknown people who are simultaneously meeting your contact. In effect, several meetings may take place at the same time. Initial meetings can be very time-consuming and appear to deliver very little in terms of tangible returns.